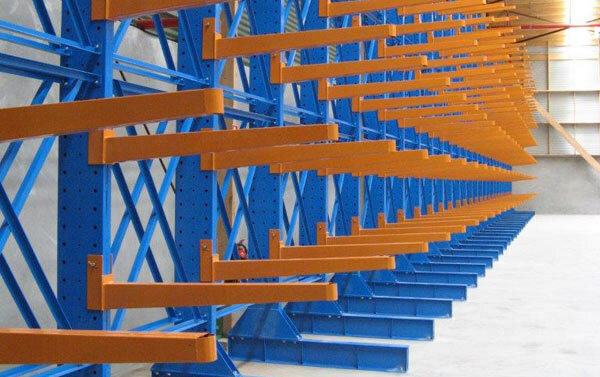 Speak with the Pallet Racking Experts! Call us on 03 9793 3433 today. A Responsive theme automatically adapts itself based on the viewing environment of the previewing device. Graffito is the second RocketTheme Magento template to be responsive, and includes our 12 RokMage extensions, with their standard feature set. At Cosmic Storage we are the experts in warehouse storage and racking. 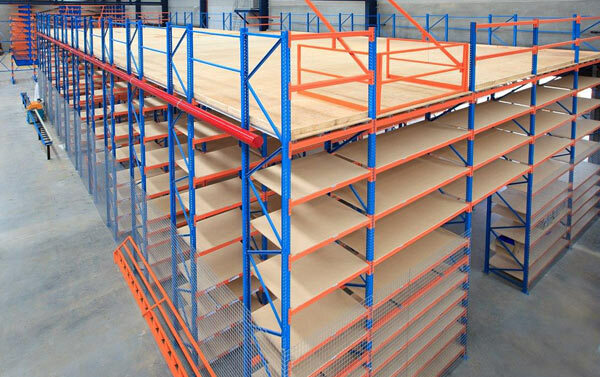 Pallet racking is our specialty, as well as cantilever racking, drive in rack, mesh decks and mezzanine floor. 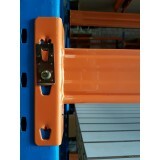 We stock both new and used racking, offer buy backs and supply all material handling goods. With more than 20 years experience in the industry, you can trust our expert advice will improve your workplace productivity, efficiency and safety. Read more about what we can do for you below. From our initial meeting, to the measure, design and professional advice- you can be assured of the best storage system for your business, factory or warehouse. We take care of everything for you. We recommend the perfect system for your needs, to ensure you can fit the most stock into your space. Have you run out of floor space? It might be time to go up! Sometimes there's just not enough floor area, and a move is out of the question. Mezzanine floors are self-supporting, and work independently of the structure of your building. Many businesses underestimate how the pallet and warehouse racking system they select impacts the day to day running of their workplace. The warehouse or factory storage system you choose will impact the productivity, cost efficiency, and occupational health and safety of your business and/or home. Do you ever feel you are not making the most of the space in your warehouse, factory or garage? Or that your current storage system is looking old, out-dated, and potentially dangerous for your employees or clients? Do you wonder why other businesses turnaround times seem to be faster and more efficient than yours? We can help! We supply new and used pallet and warehouse racking and materials, are based in Melbourne and have over 25 years experience servicing the Melbourne metro, Gippsland and regional areas in Victoria. We provide space saving and materials handling solutions for our clients. We even offer free health checks on your current warehouse racking and storage systems and can put forward recommendations and advice to ensure you are complying with occupational health and safety standards in your state. Plus, we buy and sell both new and used racking. On a budget? We will source second hand factory racking or materials handling products for you! Closing down or relocating a warehouse or factory and need to sell or move your racking? Contact us! Our experts can help with large scale jobs, such as warehouse storage systems, to smaller scale jobs such as fitting out your garage with shelving for that elusive Man Cave! 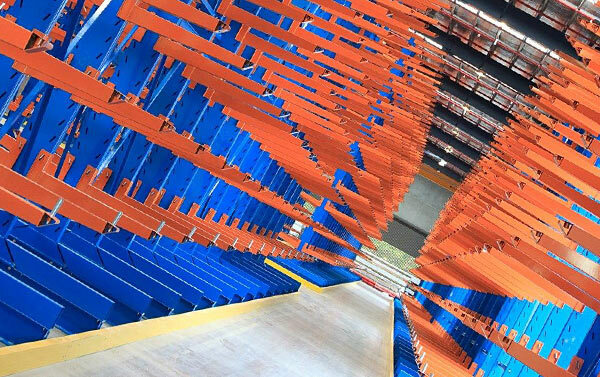 Choosing your warehouse racking system can be a nerve 'racking' experience, so let us put your mind at ease and leave the details to the experts! When selected and installed correctly, your storage system will last for many years, so please contact our friendly team today. The best news is, contact with us does not end once the job is finished, we will continue to monitor the health of your storage on an ongoing basis, and make recommendations should your needs ever change. Cosmic Storage also specialises in cool room shelving, which is ideal for restaurants or any premises where food stuffs are kept refrigerated, as well as gondola shelving for supermarkets and shops. In addition to this, we can help with home storage solutions like garage shelving and workbenches. Potentially even more essential than sourcing the correct storage solution is having access to the best safety equipment. You and your employees safety is of the utmost important to us, so we bring you a range of Safety Equipment for all of your OHS needs, including protective equipment and safety gear. In addition, we offer other warehouse related goods that will increase workplace productivity. We can assist with ladders, hydraulic hands, roller conveyers, storage bins and hoppers - to name a few! Most recently we are stocking quality warehouse forklifts, which is a must have for every warehouse and warehouse racking system. More information is coming soon, but in the meantime, please contact us regarding the forklifts we have available and what will work best for you! Please don't hesitate to browse our site and contact us today via our contact form or call our team on 03 9793 3433 for advice on how to improve your business with warehouse racking and storage. Dexion is a dependable storage racking system designed for warehouses, factories and any large industrial or yard area. 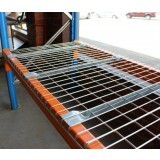 This pallet racking is resistant to weather, chemical spills and can be customised to suit your space. High visibility colouring makes it OH & S compliant, and provides increased visibility in low-light levels. 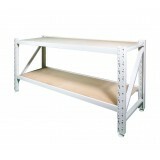 We supply a range of storage shelves and racking for use anywhere in the warehouse, factory, home or garage. We can custom design and build a storage system that's perfect for your workplace, so that everything is easily accessible, when you need it.